The latest news regarding the gold price per ounce is looking much better than the end of 2013. In 2013, gold bugs saw the gold price dropping 24% against the U.S. dollar. It was the third-worst decline in the history of gold since the year 1975. But since the start of the New Year, the gold market has experienced a steady rise in price that shows promising returns in the near future. Specifically, the gold price per ounce has risen about 17% over the last four months alone. "Gold has rebounded from late December into mid-March, tacking on about $200 an ounce, or nearly 17%," Money Morning Resource Specialist Peter Krauth said. There are several factors to consider when it comes the late rise of gold – and understanding them speaks to the benefits of investing in this current, bullish gold market. First, inflation in the United States market has driven up the price of gold, and it shows no signs of stopping any time soon. According to members of the U.S. federal government, as well as market researchers at Euro Pacific Capital, the rise in general inflation will continue to boost the gold price per ounce throughout the next fiscal half – and likely through the rest of the year. Of course, this news comes on the heels of the latest assessments which show that the strength of the U.S. dollar is weakening as a result of the continued tapering in the U.S. Federal Reserve's quantitative easing (QE) program. The continuation – and uncertainty – of the taper is another indicator that the price of gold per ounce will continue to climb as investors shore up their financials with precious materials. Another of the latest pressures that has contributed to gold's growth in 2014 are continued tensions in eastern Europe, especially between Russia and Ukraine. While some investors had initially predicted a drop in the gold prices as a result of the simmering conflict, it has actually had a positive effect on the market. This is due to the trend of safe haven purchases, when gold buyers and investors put more of their money into gold stocks in event of an international incident. This assures the investor that he or she will not lose value on their investment because gold tends to hold its value better than any other stock or commodity during times of conflict. The final piece to the puzzle as to why the gold price per ounce has experienced a significant recovery since 2013 is that supply has finally caught up to the demand that caused the temporary downturn last year. 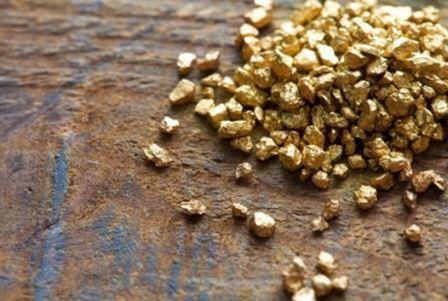 Shipments from Africa, China, and the U.S. have assured investors that there will be a satisfactory amount of gold bullion available for trade during the June delivery period. It appears that the production market will continue to remain steadily positive throughout the summer and into the next delivery period.